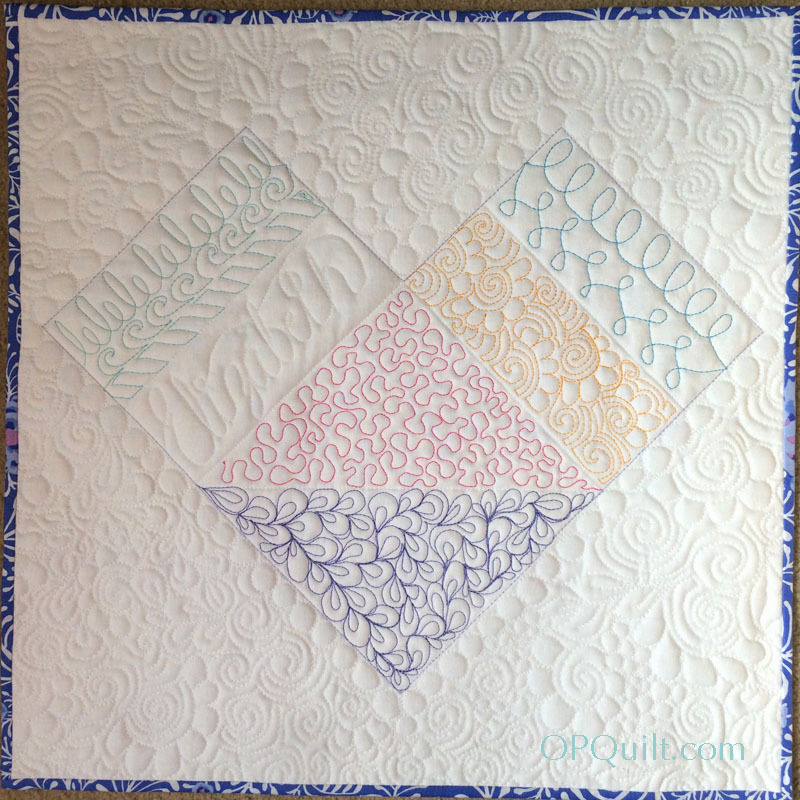 Practice Makes Perfect | OccasionalPiece--Quilt! 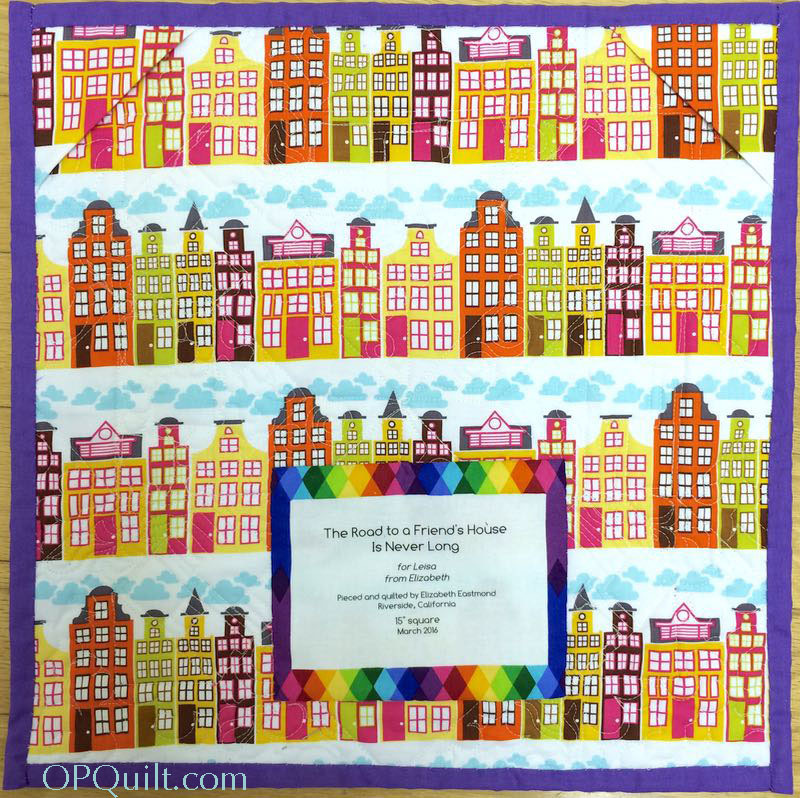 Posted on March 22, 2016 by Elizabeth E.
I started this July 2015, and you know what happened to me shortly after that, so it was nice to get it fixed up and quilted, because I’d had a purpose in mind: a gift for a friend. Leisa likes it! Pattern coming soon. I used the new Northcott labels I bought at QuiltCon. I just cut them apart, backed them with freezer paper, and ran them through my printer; see the complete how to under the tab “Tutorials,” above. 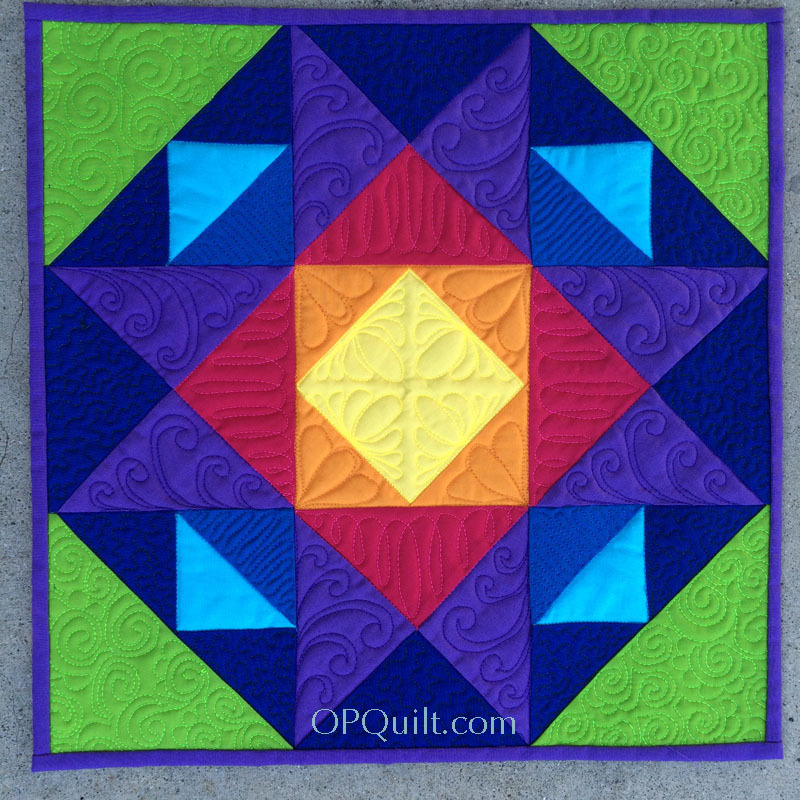 And then there’s this one, a mini quilt made as a class sample for the Free Motion Quilting Class I’m teaching in late summer at Quilter’s Cocoon. I had to think of a way for the students to practice their stitches, yet display what they’d learned in a pleasing way. As soon as they master one of these stitches, I’ll have them stitch it onto their own class sample. They may want to finish it all up that day, or may want to add to it as they get better. I’m big on naming my quilts. Another Northcott label. After they are printed, I cut a square of lightweight interfacing and fuse it to the back the “light” section of the label so I won’t see the fabric underneath. I seem to be finishing up quite a few things lately, a nice change from the months November to February, where I felt swamped all the time, unable to seemingly get to anything. Do you have times like that–like you see everything around you and just can’t get to it at all? Where you are climbing, climbing Mt. NeverFinish and wish you could find the summit? That’s why these minis feel like a success story to me. 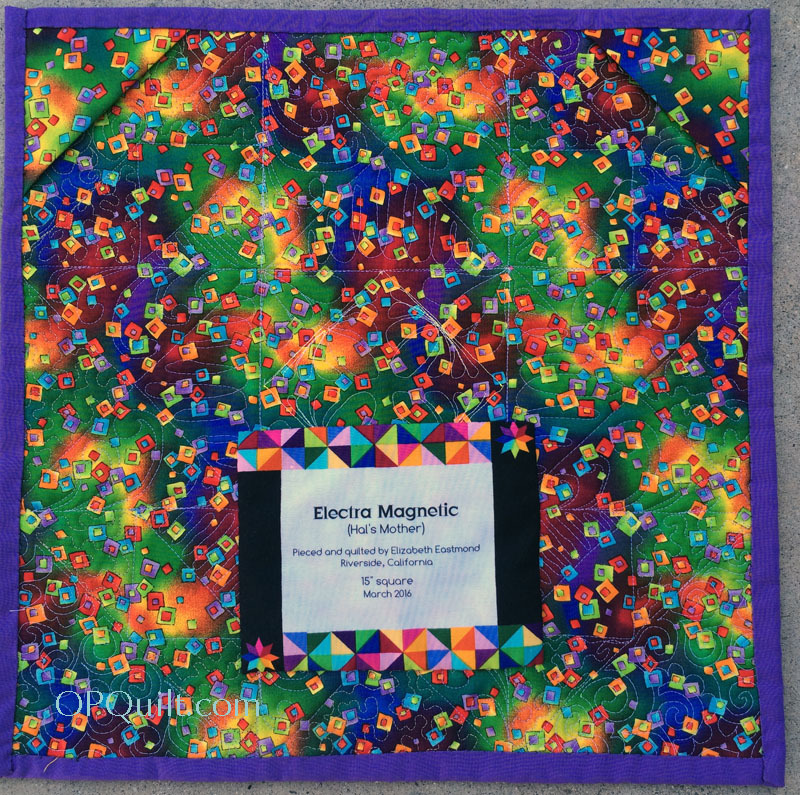 So, with all my rainbow-type quilts this past year, I’ve about run out of names. Combine that with the funny comment I got on one of my quilts that they thought it looked like Hal the computer from the Space Odyssey 2001. This quilt might also suffer from that comparison, so I thought I’d go with it. The electromagnetic spectrum is all the colors, from those that we can see to those that we can’t; they call it “wavelengths, both visible and invisible.” Okey, dokey. So I feminized that idea and came up with Electra Magnetic, mother of Hal. I’m still working on these patterns, and should have them out shortly. Well, maybe not this week; I’ll let you know. Isn’t that also what quilters deal with? 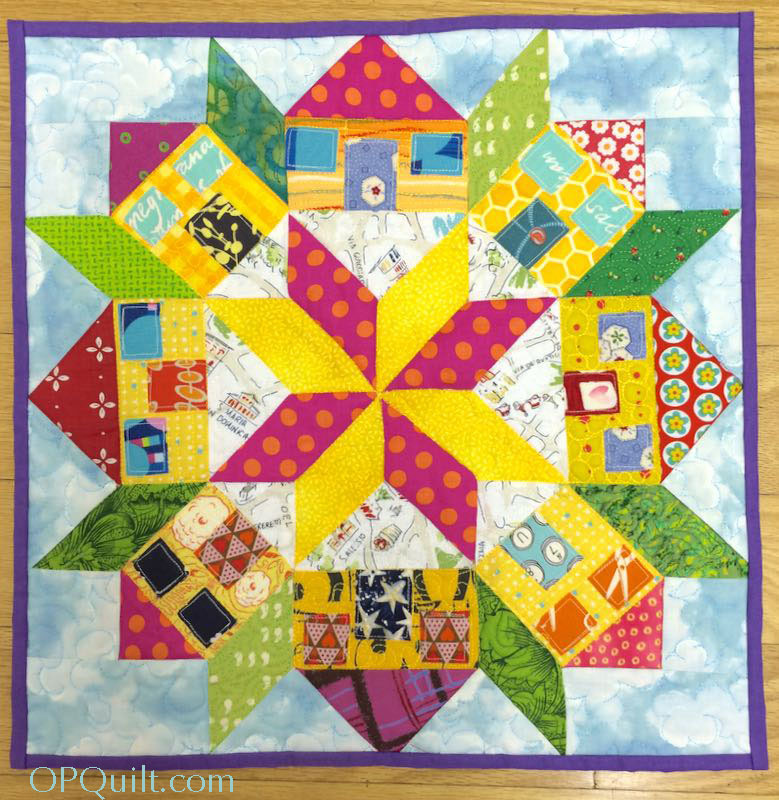 We can make a decent quilt from stuff from the garage sale or someone’s basement (with that embedded fusty smell), but why not go for better ingredients? We are surrounded by loads of high quality quilt fabric. Perhaps instead of focusing on accruing endless supplies of this good fabric, why not focus on being good? That means getting in those oft-cited 10,000 hours of practice, but as Joshua Foer noted, sometimes just making and making doesn’t bring us to the place of making something good. Foer also emphasizes this point: our deliberate practicing must be hard for us in order to engage that higher focus of creativity. I, like many of you, can cut and stitch until I’m so bored I can’t slice one more piece of fabric or sew one more HST. 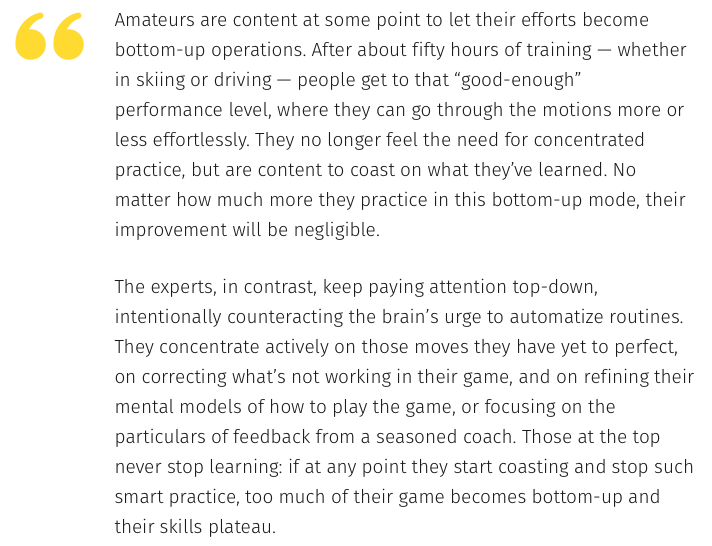 I’m falling right in line with studies that indicate that about four hours of concentrated deliberate practice is about the most amount of time we can do anything well. At that point, we have to take a break and do other things. Perhaps that’s why we are sometimes distracted by a new quilt, or a new design, or a new piece of fabric, as we try to restore our ability to refocus. Perhaps we just need a break, in order to deliberately practice well. 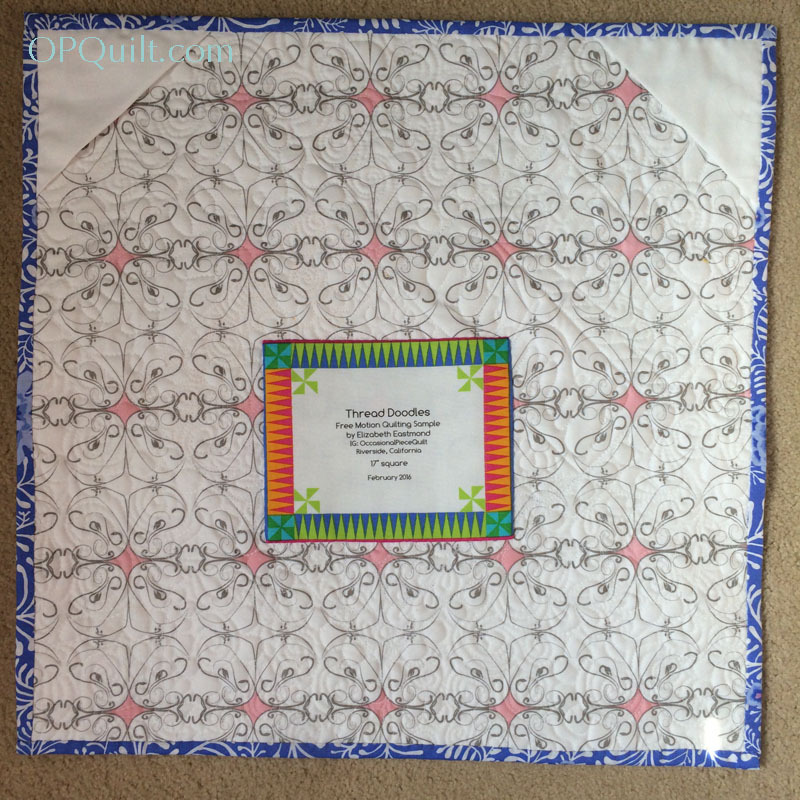 But what I learned from these authors is that when I do come back to my quilting, I must “counteract the brain’s urge to automatize” and actively concentrate on what I’m doing. So take a break, read that magazine, scroll through your IG feed, and then get back to it with a determination to make it good, make it better, and to fully engage.